Take a piece of art everywhere you go. 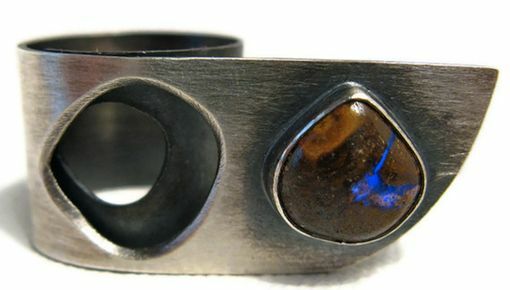 This ring has an unique wrap design. The sterling has been oxidized for a rustic look and to show the contrast of the wrapped sections. A beautiful boulder opal with a fascinating shape is set in a fine silver bezel. 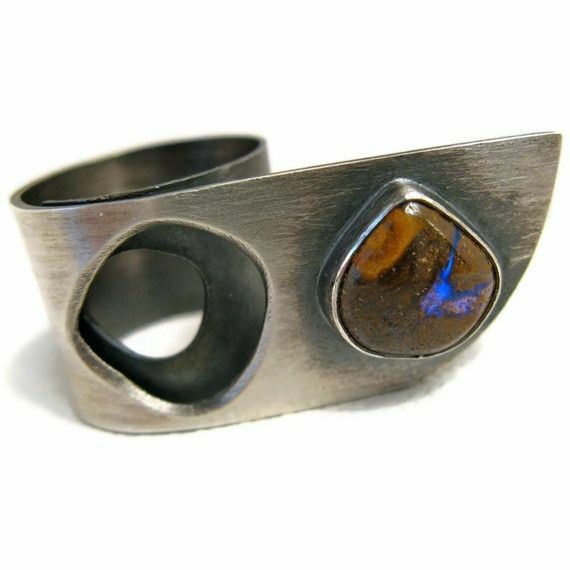 The rustic stone mixed with the fire of the opal shining through is so beautiful. I love to mix natural, rustic, elements with modern design, and this beauty has it all!